For nearly ten years I have had a successful crochet and knitting design career. I enjoy balancing my daily need to be creative with sharing my experiences and inspiration on this blog. I am a working mother and wife, living a full and busy life in the North of England. I can’t imagine sitting down at home without picking up my needles to knit or crochet. This simple hobby has brought me enormous joy and peace of mind – and many of my friends and relatives have some homemade item inflicted upon them in the name of ‘Love’. Let’s just say, having a little creative project keeps me out of trouble. I have designed both knitting and crochet designs for magazines including; Knitting Magazine, Debbie Bliss Magazine, Let’s Get Crafting, Simply Crochet, Inside Crochet and Crochet Now. I work in collaboration with other designers and yarn houses most notably Debbie Bliss for Designer Yarns. In recent years I have published a number of best selling crochet books including: How to Crochet, Crochet Keyrings and Charms and in Autumn 2016; Cute Crocheted Animals. I am happy to work on design projects with new and old clients: please get in touch by leaving a comment below. I am really happy to work with companies that have a product which will appeal to the readership of this blog. Ideally I like to trial a product and provide a practical idea or use for my readers. In each case the post will declare that it is in collaboration or sponsored – to meet current legal guidelines. Emma Varnam Designs takes affiliate links but these are disclosed with current advertising guidelines. I will always say when something is an affiliate link. I will only take links from companies that fit with the interests and style of the blog. I am always really happy to have giveaways on the blog, but they need to be things which would be of interest to the readership of this blog – ideally I like to trial a product and show how it might be useful or inspirational to followers. If you would like to work with me – please leave a comment below. I am writing to you on behalf of Southbank Centre. I have really enjoyed reading your blog and I would love to speak with you about an upcoming knitting project organised by the centre. You have inspired me to give it a go! Mine will be considerably more random and less beautiful but I’m hoping it will be good fun! I have put you in my blog list and sent a few people your way already! Beautiful blog. Just reframing a certain x-stitch you made for me for my 21st! Must send you a photograph of it – to remind you of it. Thank you so much for this. 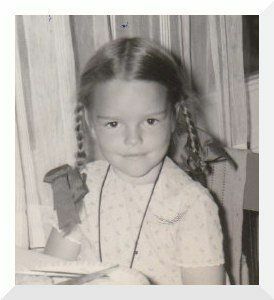 I am so glad you are well and I would love to see a photo from times past. Have a lovely evening. Hi Emma, its Yin Yin, we spoke today at Purl City Yarns, could you contact the shop asap please. (Sorry I couldn’t find an email address for you!) Loving the blog!!! funny who you stumble across on the internet! While looking at crochet sites (I am considering learning the ancient art!…) i thought of you and just wondered if you are still on the ‘woollen’ scene. And so you are. Your blog is fabulous, with some rather inspiring ideas. I just want to learn how to make crochet and knitted flowers! I hope you can help me. I bought the April issue (28) of crochet magazine and the yarn to take on holiday and make the “Nancy” slipover. I have crochet for years but I seem as if I’m going wrong somewhere on the 1st row. When I reach the end of the 1st row, I have 6 stitches left from the foundation row, making 77 tr instead of 83 tr (I’m making the 1st size). Hi, I am in Arizona and get the Inside Crochet magazine at a store. They only stock 2 or 3 and the issues aren’t that current, so it is a treat to get one! Love this magazine! I know dc = sc US, so far, so good on that. I’ve done the ring and the head Ok. I looked on ravelry.com but couldn’t find your pattern and perhaps comments. Thanks!! I was wondering if you sell the crochet patterns for the pumpkin tea cosy and beaded jar/glass cover shown in Inside Crochet #25? I just bought your book, “Crocheted Keyrings and Charms” and I absolutely love it! I have already made the little fish and am eager to work my way through it. I saw this book in my local wool shop and it was literally the cutest book I have ever seen in my life so I had to buy it instantly!! Thankyou for creating such a little Gem!! Well that is the nicest comment ever! – Thank you so much. Your post on your blog is fab – I will link to it today or tomorrow dependant on when I get time. Thank you so much for stopping by….This has made my day. 1. You state that the knitter needs to add stitches for the main part of the hat “using the 2 needle method.” Do you mean a cable cast on? There’s nothing in the magazine describing a 2 needle cast on. 2. The description of your delightful set indicates that the earflaps on the hat “button under the chin.” I can’t find anything in the instructions telling me where to make a button hole or place a button, and there’s nothing regarding errata for this statement on the website. I suspect it’s a mistake, but the photo in the magazine certainly shows the hat tucked firmly under the little boy’s chin. Thanks for your help. Your designs are fabulous, and I really look forward to making them. My name’s Alice and I’m a campaigner for the charity Age UK. I love the look of your blog and wondered if you’d be interested in helping us to promote our latest national campaign, which is calling for warm homes. As part of our campaign, we are inviting people to knit a message to send to their MP (which is where you come in!) We’ve produced a leaflet with everything people need to know, including an easy-to-follow knitting pattern and instructions on sending it to their MP. There’s more information on our website: http://www.ageuk.org.uk/get-involved/spread-the-warmth/the-blog/blog/2013/11/tell-your-mp-we-need-warm-homes—knit-a-message/ Is this something you could help us with? We’d really appreciate your support. I hope leaving a message like this gives you my contact details. Would you be able to drop me a line so I can talk to you about a project I’m working on for goodtoknow.co.uk? Just been looking the Moor Allerton centenary website and who did I see there…. looking all glamorous! So I googled you…. You sound (and look) like you are having lots of fun with the needles and yarn. Is this a full time project or just a hobby? my brother turns 50 next month. He drives a VW-van. I found your doorstopper van and I simply love it. It would be the perfect present for him. Is it possible for you to send me the pattern? I have looked everywhere for a copy of your camper van pattern. How do I go about getting a copy? I do not see it on your website. I have looked all over the Internet too! I love this little van and I have a weekend to myself so I’m looking forward to whipping one up! This may be too late for you, but I found the camper van on the digital download issues for Inside Crochet issue 50. It was £3.99 to download onto your computer or tablet and you get the whole magazine. Hope this helps if you haven’t already found it. Your patterns are great – I’d love to have a chat with your about an exciting opportunity with LoveKnitting. Please email me faith@loveknitting.com for more info. I am looking for your Indian Summer Shrug pattern featured in Inside Magazine #19, which is no longer available. Can you please let me know how I can obtain this pattern. Thank you. Please please please do you have a patten for the crochet campervan?? I’m Maria. I represent wesite sheruknitting.com . My website is dedicated to crocheting and knitting. I have to you partnership offer. Newbie crochet-er here and on my first project! I’m currently in the process of finishing off your campervan door stop from the pattern shown in Inside Crochet issue 50 bits looking good, but I’m a bit confused as the front/top/back panel doesn’t have enough rows to line up on the back with yarn A. Could you email me how many rows it’s supposed to be of yarn B before you change back to A please? Row 93: change to yarn A, 1 ch dc across, turn, (do not fasten off). Because you’re so creative I thought you might like what we’re doing on our blog – check it out and see how we’re upcycling jam j-ars and turning them into art. We’d love for you to get involved! I work on behalf of Bergere de France and I know you have done numerous designs for Inside Crochet magazine using their yarns, which we have loved! We would be interested in chatting to you to commission some work for your blog and I wondered if you could drop me a note? I am contacting you from Create & Craft as I have seen your article and would love for you to feature on our channel. If you are not familiar with Create & Craft, we are the world’s first and only dedicated crafting channel, with creative and inspirational TV shopping shows, website, and marketing activity all focused on bringing world exclusive crafting brands and products to delight our shoppers. We represent the second largest craft seller in TV shopping worldwide from North America to China and Europe. The craft market is both an exciting and complex opportunity and as an expert in this market with over 20 years experience in successfully building a multimillion dollar craft business, we are a great opportunity for crafting brands to sell themselves and a destination shop for dedicated crafters. We currently broadcast live 12 hours a day. 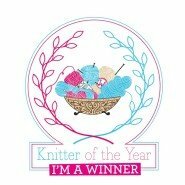 I look after the needlecraft category including sewing, embroidery, knitting, felting etc and we have a huge following. I would love to have a chat with you to understand how we could work together. Thank you so much for this message – Would you be able to provide me with your email address or perhaps leave a direct message for me on my facebook page or twitter account. Please feel free to leave me your email address and I will contact your directly. I love your blog, in fact it’s inspired me a lot over the past few weeks, to that I hope you don’t mind but I’ve told people how fabulous it’s is in my own blog. My name is Philippa and I am an editor at a craft and lifestyle publisher based in London. I am currently working on a new crochet book and I would love to discuss this project with you. My name is Tom Melby and I am the owner and director of an animal shearing equipment company called Clippers Ireland. As you can imagine I am passionate about wool, and recently created an infographic entitled ‘Clever Crafter’s Guide to Wool’. Crafting has become more popular than ever, as new waves of crafters begin to knit and crochet every day, turning to websites like yours for guidance. In the graphic I’ve explored some statistics and facts about the world’s wool, and highlight some rare and speciality wools in addition to wool tips for crafters. I was browsing your website and thought that you may wish to publish the attached infographic-https://goo.gl/aXWG9l on your blog as I think your readers would find it quite interesting. If you do decide to publish it, all I request is that you provide a link to this page of my site: http://www.clippersireland.ie/sheep_clippers.html in the post in which you publish it. If you have any queries at all about the graphic, let me know as I would be delighted to explain. Few days back I had sent you an Infographic for review about “Clever Crafter’s Guide to Wool”. Can you please confirm if you did get a chance to go through my email? I really think your site’s visitors might find this interesting? I purchased your How to Crochet book, and I wanted to tell you I think it’s fabulous. I am a fairly new crocheter, and your book is really helping me make sense of it. I feel like it’s made a much better crocheter, and I’m gaining confidence every day. Thank you so much for writing it. What a kind thing to say – thank you so much for leaving a comment it is so cheering to hear this. I am writing on behalf of The Big Issue Foundation, a national charity which helps to support the homeless and the vulnerably housed in giving them a hand up instead of a hand out. In November of this year we are organising The Big Knitathon, an event in which participants can organise knitting events and get sponsored for knitting items or knitting for certain lengths of time etc. These events can be held independently or you can even get together with fellow knitters! Every year the Knitathon helps to raise vital funds for us! We hope that you will be part of it this year! Please get in touch for more information! Hello – how lovely of you to say ‘hi’ what kind words. I might very well do another holiday swap – now you have go me thinking!!! Please do keep reading it is lovely to know there are people out there. Thank you! I think I’ve worked out a suitable layout and should be ready to start the last stage later this week! Photos to follow! I’m writing to you on behalf of Christmas Tree World UK (www.christmastreeworld.co.uk) and, as the festive season comes in thick and fast, I was wondering if you’d like to help promote our latest range of artificial Christmas trees on your site. Our trees come in a great variety of colours, sizes and styles and we’re hoping that with your help we can spread the word of our growing e-commerce business. We thought you’d be a good fit for us as we appeal mostly to families with a passion for days out, crafts, etc. and would really appreciate having you on board for this upcoming Christmas. If you think our site is a good fit for yourself, we could send out a Christmas tree to you next week, then all you’d have to do is decorate however you like, take a few pics, and upload a review to your blog with a link back to our site. We appreciate honest reviews so spreading opinion across the web is always useful for us as a growing local business. I look forward to hearing back from you and if you have any further questions, please do not hesitate to contact me. I wanted to get in touch as I run “All Subscription Boxes”, a website that tests UK subscription boxes each month. The website is the reference in the UK on this subject. Having looked through your blog, I really admire your photos and articles, and I’d love for you to be part of this adventure. I wanted to get in touch to see if you might be interested in the opportunity to review crafts and children’s boxes (that we would send to you) for our website? As a knitting enthusiast, I wanted to get in touch to introduce you to Simple Stylish Knitting – the new weekly magazine series released by De Agostini Publishing offering knitting enthusiasts the opportunity to complete the Simple Stylish Knitting course. In celebration of the new series launching next week, we wanted to share a taste of what’s coming up with you, giving you the opportunity to try out the first issue of Simple Stylish Knitting where you can create your first beautiful pattern provided with clear step-by-step instructions as well as creative ideas for personalising and embellishing a knitted throw. Are you interested in receiving a free copy of the magazine? All we ask in return is that you share your feedback of the new magazine with your online community. We do have £100 that we could offer you for this partnership. We’d also be more than happy to share the press release and full report mentioned above should it be of interest. I would like to personally congratulate you as your blog EMMA VARNAM has been selected by our panelist as one of the Top 100 Knitting blogs on the web. Hi. I have not crochet for many years but a beautiful granddaughter has inspired me to start again, but i must be very rusty as i cant seem to follow a basic pattern. I recently bought a pattern for the striped crochet hat and bootees. ( pale blue and white) .I have followed the pattern for the hat but in the picture it looks like the stitch changes from a tr stitch to dc but the pattern states to finish …ALL SIZES .. 1tr/dc (same as previous rows) to end repeat 6 times. I cant see a change of stitch in pattern. Maybe i am just misreading it .. as i say i am rusty. Hi there, I’m a fellow crochet lover and I’ve recently started a small business selling items I have designed and made. Just thought I would ask if you might consider featuring some of my work? I have an etsy shop, as well as a traders license which I use to attend craft fairs and markets. I also have Facebook and Pinterest pages featuring my designs. Any exposure you might be able to offer would be greatly appreciated! My names Ellie and I work for Deramores (online knitting & crochet store- http://www.deramores.com/ ) I have been looking into your blog and I love what you do. If you could email me directly that would be great. I would like to ask you some questions and see how we could work together. I’m James from Orbital Media. Having checked out emmavarnam.co.uk and the ideas you share on your page, I felt you may be interested in receiving some amazing Posca art pens to play with. If you have never heard of Posca, they are a unique water-based paint marker that writes on almost all surfaces including fabrics, glass, metal, paper, card, wood and stone. The product is also water resistant, fade resistant and odour free. Hurrah! I’d love to send you some Posca pens to try out and review if you’d be open to it. In addition I’d be happy to send you a couple of packs, allowing you to run a contest to your readers if interested. I have a great upcoming campaign opportunity where we’d like you to review some products and vacuum packed delivery service. It makes it easier for yarn to be popped straight through your front door! I think the products will really appeal to your blog readers. Please contact me at hello@bloggingedge.com. the reason that i want enjoyment, as this this web site conations genuinely nice funny information too. Thank you so much – what an utterly lovely thing to say. I love your blog. I would love to feature you on the Hobbycraft blog. If you would be interested please email me. I’m getting in touch from The Knitting & Stitching Show which takes place in Harrogate from 24th-27th Nov. We’d like to offer you some show tickets to give away here and a unique discount code for the show for your followers. Please get in touch if that’s of interest. Hi just wonder if there’s a mistake on page 66 of cute crochet animals in Stanley tank top about row 17 on the front as there is no mention of arm hole cast off and then sts do not work out when completing second front? Ignore my message, I will put my brains back in and carry on now! Lol. I would ask, If you would like to test my yarns. A little bit about them: they are 100% woolen, Aran thickness, dyed by hand with usage of plants (madder, woad, tansy and some other ones, in many combinations) – just like they were prepared in Middle Ages. If you agree, I will send you yarn balls of your choice (current list of colours here – https://medieval-colours.co.uk/collections/all). After that – everythings in your hands, I am sure that yarn will be well used. It would be wonderful if you could share your opinion on your blog (but you don’t need to feel obligued!). Hopefully hear from you soon, all the best in the New Year! Immediate Media Co, the special interest content and platform company behind some of the UK’s most loved specialist magazines including Love Patchwork & Quilting, Today’s Quilter and Simply Sewing would like to invite you to attend the launch of their newest venture – Sewing Quarter. Sewing Quarter is the UK’s first TV Shopping Channel dedicated to sewing, patchwork and quilting fans. Drawing on Immediate’s heritage within the craft space, this exciting multi-channel offering will bring together TV shopping, e-commerce, video and web content to transform what we have come to expect from the sector. With over 3.4m clothes makers, 4.4m home décor sewists and an estimated 1.5 million quilters in the UK, Sewing Quarter will reward this dedicated demographic with focussed helpful and engaging content, exclusive products at great prices and the best guest-designers in the market. Join us on Tuesday 31st January (full details included in the invitatin) to discover more about the brand. Want to put your own sewing skills to the test? Our talented team of Sewing Quarter presenters will be hosting three sewing workshops throughout the day. We will also have a mock studio set up for those eager to try their hand at the role of a LIVE TV shopping presenter. See sewing as a social activity? Why not bring a member of your own Sewing Quarter with you? Whether it’s your colleague, friend, mum, granny or sister – we’d love for you to bring a crafty plus one along. I really hope you can join us? Do email me on the one provided and I’ll share the invitation including full details. I wanted to get in touch as I look after the PR for Taylors of Harrogate, and we’d love to send you a little gift to celebrate the launch of their new, limited edition coffee which has been inspired by the iconic Victorian textile designer, William Morris. Taylors recently partnered with the William Morris Society to launch this beautifully blended coffee – it’s got notes of lemon, chocolate and caramel with a buttery finish, but also has some really nice packaging. Do let me know if you’d be interested in trying the coffee, and we have some goodies to go alongside? We’d love to see what you think on social! My name is Jess. I wanted to get in contact with you to ask if you did guest posts on your site? I’m currently working with The Herdy Company, who I know that you’ve linked to before. They have recently been in collaboration with Harrison Spinks to launch their new business Herdysleep, a venture for the brand that uses the wool from the lovable Herdwick sheep to create natural, handmade mattresses. Staying true to Herdy’s philosophy of giving back to the rural area of the Lakes, Herdysleep promotes sustainable fell farming and keeps waste to the minimum; all the while providing a natural mattress with an unmatched craftsmanship. Most recently, they appeared on Country File where they spoke about the importance of sheep farming and responsibility, something that I think would suit your audience perfectly. I’ve got a few other ideas where I think we could work together, and I know that they would love to get more involved in the community. But feel free to take a look at Herdysleep’s site at https://www.herdysleep.com, and if you have any questions, do let me know. Hi – I have been working on your Debbie Bliss zig zag crochet baby blanket and have a question on the edging – wondering if the bottom edging is not the same as the top on purpose, and hesitating on the second row of the edging because I see only decreases and no increases. Could you confirm? I can only find a couple of photos online to try to double-check. Many thanks. I am fairly new to crochet and am having a go at your lovely baby set from a booklet entitled Debbie Bliss Rialto 4 ply crochet. It is a cute beanie, jacket and shoes set. I am having trouble with understanding part of the pattern and wondered if you can help. I tried ringing my mum but she only knits and although she made a suggestion want to make sure before going wrong! Hi Emma. I,m in Australia and am interested in your book Cute Crocheted Animals as I would like to make the bear. Could you please advise what ply is used? I believe what you posted made a ton of sense. However, consider this, what if you typed a catchier title? You might add a related video or a related picture or two to get people interested about everything’ve got to say. We have included photos from your site, but do you have a preference for the best ones we should use? Just reply with a yes and we will shoot you through the link. •	A pair of tickets for you and a plus one for any day of the show (tickets can be used on multiple days). •	5 pairs of tickets for competitions/giveaways for your blog, website and social media, redeemable any day except Saturday. •	A unique discount code for ticket bookings via your website/blog/social media (this gives a £2 discount off adult advance tickets and £1 off concessions). •	A £1 per ticket commission on any tickets sold using the unique discount code. •	An early access pass for entry to the show at 09:30 (normal opening time 10:00). •	Show pictures and logo to support any content you’re writing/posting. 1. A gallery exhibition private view hosted by an acclaimed textile artist. Choose from host artists Diana Harrison (Traces in Cloth), Rachael Howard (Red Work), Amy Twigger Holroyd (Units of Possibility – The Reknit Revolution) or Jo Beattie (Precious Memories). Choose from a variety of quirky fabrics to create either a Crazy-Cat, Dangerous-Dino, Whacky Wale or Sleepy Owl. Add extras such as buttons for eyes or use embroidery thread to do simple stitch shapes for facial expressions. The creature will then be stuffed with a Polyester Hollow Fibre Filling/Stuffing and a choice of an aromatic lavender filling (optional) to aid sleep or to stimulate kids’ brains at play. Find out how to determine your pattern size (which is different from your High Street size), what all the information on the pattern envelope means, how to ‘read’ the pattern, what to do with the notches, markings and more. You will go away armed with your own Butterick pattern ready to have a go at home, together with a crib sheet of useful information. 3. A knitting or crochet clinic with the UK Hand Knitting Association. For experienced knitters and crocheters, bring along a current project you’d like help with. For beginners, learn the basics of knitting or crochet with a UKHKA expert. Drinks, and the gallery private views, workshops and clinics will be held on Thursday 12th October from 5-7pm and include entry to the show. UKHKA knitting and crochet clinics can be available on other days of the show if you are attending on other days. Please get in touch if you’d like to take up this offer. I have recently bought your book ..cute crochet animals..the designs are absolutely beautiful and I have just started to make Emily Rabbit but I feel I’m not doing it justice without a few more tips.I just wondered if you do tutorials? As in your book it says that you were born in Devon I was hoping that you still lived there as I do but looking at your blog I see that you live up North.I am also from the North West and visit quite often so perhaps if you do tutorials perhaps I could get there. Anyway congratulations on this book ,the designs are the best. thank you for your lovely comment. Yes I did grow up in Devon but now live in the North West. Over on the blog there are a few video tutorials which have been posted to You Tube. If you tell me what aspect you feel you would like to improve I could try and talk you through it. Emma are the patterns for your hangar cover and table runner included in your new book? They are lovely! Hi Emma, I’m not sure if this would interest your blog or not, but Fasthosts have just launched a competition in partnership with Mollie Makes. The prize is over £1,600 worth of web hosting, advertising and crafting supplies to help grow a crafting business. Hope you’re well and coping with this increasingly chaotic time of year. I’m writing today because I am working on behalf of a Knit and Crochet company and I’m looking to try and get some content posted on your website. I really want to firstly put out some feelers to find out if this is something your website offers and if you are available to work on the timescale of getting more posts up pre-Christmas. Secondly, I would like to find out a bit more about specific opportunities available – whether you write content yourself or at this stage, only wish to add in some pre-written content. Then with accordance to this – your price. If you are interested/ available to find out a bit more information – I’m more than happy to tell you some more information about my client etc. Have you heard Makerists story? We’re a relatively young platform where pattern designers can sell their designs to our growing community (knitting, crochet, sewing, embroidery etc). We’d love to collaborate with you in some way, if you’re not into selling your gorgeous eBooks on our site, maybe you’d be interested in sharing our story with your readers or being featured on our blog! We started out in Germany where we’re the biggest crafting platform, we’re also really big in France and just this year we broke into the USA market. you can get in touch with me directly via email if you’re interested in hearing more. Hi Emma Can I please ask you a question. I have purchased your book “Cute Crocheted Animals” and I absolutely love making the animals. My friends have advised that I should sell what I make however they are your patterns and not my own. Am I able to sell what I make as long as I advise that pattern belongs to You? We’d love to talk to you about trying out one of our crafting classes in return for a review, or writing a guest blog for us! I recently purchased your book Cure Crocheted Animals. I have made 5 so far and they are soooo cute. However, I am having trouble getting the faces to have the same shapes (especially around the eyes) as in the pictures. The cat’s and bear’s faces were very flat until i re-did them adding 2 straight rows at about row 5. Do you have suggestions? update: I just found the video tutorial about the eyes. But still wondering about the nose shapes as written in the patterns. Both the cat and bear patterns end up with flat noses. Dear Sue, I am glad you have found the tutorials. The flat nose is created by the rivet at the back of the plastic nose. It works well for the fox and the bear. I hope this is helpful. Sue, do you have any tips on getting the arms in right place? Mine always seem to be more to front and back than to sides? Hello from Australia!! We are a craft supplies studio based in Melbourne Australia..and we love materials and everything hand made. We just wanted to let you know that everyone in our studio absolutely loves your blog. Gorgeous work! I have the pattern DB011 and there seems to be a whole section on the collar instructions missing ? I wanted to get in touch regarding getting you listed within the influencer index on Fashion & Beauty Monitor, to coincide with our lates blog post, On Our Radar… 10 craft bloggers, of which we would love to highlight yourself. If you could drop me a note that’ll be great! Hi Emma, I wondered if you could drop me a line so we can discuss a potential collaboration please? I think it will be a great fit for you. Thanks. Hi, it was great to discover your blog today. We have just launched a new knitting and crochet brand and I would love you to have a look at our website http://www.solidandmarl.com we would love to work with you in some way and would love to know your thoughts. I seem to be having problems joining the arms on the animals from the cute crocheted animals book. They always seem to be sitting more to the front and back than the sides. Any tips? Video? I would like to make a lap-size Afghan for my 96 year old mother-in-law and have been searching for a pattern with a penguin in the middle of some type of granny square which I can alternate with plain squares. I found just what I want on Pinterest, but it did not include a pattern or information on where to get one. The site on Pinterest was “A Penguin Afghan – no pattern.” It had squares that were similar to the square that I saw on your site with an animal in the middle. On Pinterest, the Afghan is done in black and white with a penguin in the middle of some squares. If you hit the Visit button under the picture, it takes you to another site called Photobucket with the same picture of the Afghan, but no pattern location information! I am not sure if you have anything like this in one of your books? Or if you know where I can find a pattern for this? Thank you for your help! My name is Carolina, Account Executive in Clickwise, an affiliate marketing network based in Spain, Hong Kong and Brasil. I am contacting you in order to talk about the possibility of working together, as we are looking for new publishers who’d like to promote our merchants´ offers. Clickwise is a global affiliate marketing network whose aim is to establish strategic and profitable alliances, in order to benefit from win-win relationships with all our customers and partners. I am reaching you out in order to see whether we can start a partnership, so if you would like to discuss it further please do get in touch. I was wondering if you accept guest/sponsored articles with do-follow links on your website -http://emmavarnam.co.uk . Or if you can write an article for us with our anchor (that would be the best option if possible). I am currently enjoying making the animals from your cute crocheted animals book. I’m making Jack the rabbit at the moment but can’t work out the instructions for the hood on the jacket. I’ve tried following the instructions separately, ie not attached to jacket in the hope that it would give me a clue but to no avail. The problem seems to be understanding the placement of stitches in the first line. Any clues would be welcome. My name’s Matt, and I work for uOpen.com – the UK’s first subscription box marketplace – a website dedicated to showcasing the hundreds of brilliant boxes out there, including loads of arts and crafts subscription boxes. I wanted to get in touch as I think your blog is a perfect fit for an exciting project we’re currently working on! In essence, we’re looking to work with influential and engaging bloggers who are eager to try one of our popular subscription boxes and share their honest thoughts in a blog post. Let me know if this is something you’d be interested in and I can get a box out to you ASAP! Hi Emma, I’m starting a new venture called the Cosy Craft Club. It’s a craft box subscription for people who love the idea of trying a different craft every month. We haven’t launched yet, but this month we’re going to be delving into all things knitting! As part of this, I’ll be creating content to give my audience really useful insights into the world of knitting and where to start. As I said above, what do you wish you knew when you were learning to knit? What insights can you bring? I’ve listed some questions below to help guide you, but what I’m really after are the things that every knitter needs to know. I’d be happy to feature you and your website as well. This could be in the form of a 1-2 sentence bio and a link, or an interview or other feature. Please let me know if you’d like to contribute, I hope to hear from you soon. Hi Emma, to cut a long story short I’d love to license some of your crochet patterns for an eBook that I’m releasing. I normally do this in the music niche but I’m looking for something totally new. Come back to me otherwise I’ll have no choice other than to play the blues on my guitar for at least 3 days of mourning. I am currently making my second animal from the cute crocheted animals book. I really struggle when trying to start the body. Pattern says attach yarn to the back of the left leg but if I work 20 stitches round the leg it ends up at the middle of the back which is then no good for going on to the next leg. What I did was attach to the inside leg area which meant the 20th stitch was in that crotch area ready to start working on the 20 dcs of the next leg. However this then shunted the shaping to be in the wrong place. I guess I’m just being thick. Also pattern says to stuff legs before starting body but then says stuff legs after finishing body. A mutual friend (Mrs Hasler). Pointed me in your direction. I’m loving your blog! Always nice to know there are other crochet nutters in the locality! we are a new social network for crafters and would love to feature your books and patterns. I’m writing to you on behalf of Coulson Macleod. We’re a small creative team of 5 based in Northamptonshire. Specialising in greeting cards, art prints and giftware. Also available as a card, mug and marble stone print. I wanted to kindly ask if we could send you a sample and if you might consider sharing it with your audience? If so, please let me know the business address to send one to. I’m having a problem with the hood of the duffle coat. From your fab book cute crocheted animals. Can you help? My name is David Toon from the Jellyfish Digital Marketing Group. We’re in the process of building our dedicated influencer platform and your blog and content has recently been recommended to me. As a starting point, we’re running a series of tests and case studies around the concept of subscription boxes and wondered if you’d be interested in taking part? This activity would allow you to receive a range of subscription boxes for review plus provide you with a CPA revenue of £3 for every sale your content generates. We currently have influencer partners earning in excess of £500 per month as a passive revenue for this activity as an example of the earning potential. This will then allow me to evaluate the levels of engagement and traffic before recommending you towards our wider upcoming brand campaigns. Let me know if this is something of interest and I’ll share more info and get you matched to a suitable box in your arts & craft niche as an initial test. Look forward to exploring this further. I think Emma should launch her own craft subscription box on https://www.uopen.com I know I”d buy it! When you create granny squares, do you block them on a blocker?